Over time, your tile and grout can begin to collect dirt and particles, even if you clean it regularly. We use proven tile & grout cleaning methods that will restore your floor to it’s original luster. 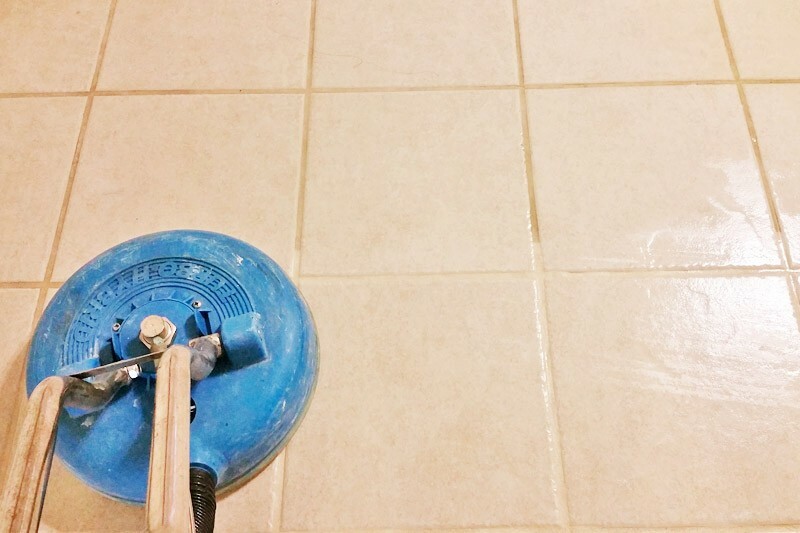 Your tile & grout CAN look new again. Before replacing your costly tile, let All Star Steam Cleaning restore it to its original luster and look. So many of our customers are surprised at how effective our tile and grout cleaning methods can be. Safe and extremely effective methods are used to restore your tile and grout. Proper procedures must be followed to get the best results and not damage the tile or grout. There are various types of cleaning methods, depending on the tile. Your technician must be proficient in them all. Preventive measures can be taken to care for and protect your tile as well. Your technician should be able to explain these. We follow all the procedures and take the necessary cautions required when caring for your tile & grout. We are trained in all methods of cleaning the various tiles, including ceramic, slate, and granite. We provide information to our customers, so they can keep the tile at its best in-between professional cleanings.